I have more than 30 years of experience as a legal scientist. First as a prosecutor in the employ of the Department of Justice and now an academic scholar at the faculty of law, North-West University (Potchefstroom) where I am a professor of law. I hold a number of positions such as the honorary treasurer of the Society of Law Teachers of Southern Africa, Ambassador Scientist of the Alexander von Humboldt-Foundation, and also the chairperson of the North-Eastern Chapter of the Alexander von Humboldt-Association of South Africa. In addition, I am the secretary of Juris Diversitas and has published extensively on subjects dealing with legal pluralism, customary law, mixed jurisdictions, cultural diversity, judicial comparativism and the law of succession, and also presented numerous papers on these subjects globally. I am co-editor and co-author of two leading books in South Africa, namely Introduction to Legal Pluralism in South Africa published by LexisNexis and The Law of Succession in South Africa published by OUP. 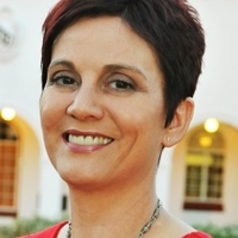 I am the editor-in-chief of the peer reviewed, open-access electronic law journal – the Potchefstroom Electronic Law Journal, accessible at http://www.nwu.ac.za/p-per/index.html. I serve on the editorial and/or advisory boards of the Journal for Contemporary Roman-Dutch Law (South Africa), the Journal of Comparative Law in Africa (South Africa) and the Journal of Civil Law Studies (Louisiana) and the African-German Network of Excellence in Science (AGNES): southern Africa region.